Sandy quits SBS show First Contact. 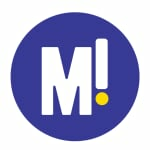 EXPLAIN TO ME: Why is everyone talking about TV show, First Contact? You might have spotted a whole lot of headlines around today about a TV show called First Contact, and a woman named Sandy who controversially quit during the filming of the first episode. For those who missed the buzz around this new reality television show or didn’t watch the first episode last night – here’s what you need to know. 1. What even is First Contact? 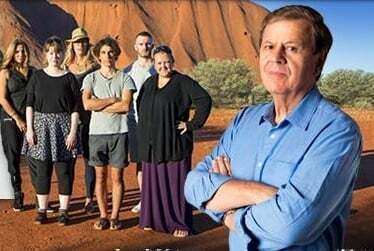 It’s an SBS TV show hosted by Ray Martin, in which six Australians with little or no experience of indigenous Australia spend time with indigenous communities and have their views challenged. The show follows a similar format to documentary Go Back to Where You Came From, in which Australians visited the war-torn homelands of asylum seekers and had their views on immigration policy challenged. 2. Who is Sandy and why is she making headlines? Sandy is one of the participants on the show, and probably the most divisive and outspoken. She’s a 41-year-old mother-of-five who says she “doesn’t f***ing care” if people say she’s racist. The reason Sandy, a mortgage broken from Newcastle, is making headlines this morning is that she quit during filming of the program, which began airing last night. After visiting a remote community off the coast of Arnhem Land, she simply packed her bags and left, as news.com.au reports. “God gave black people rhythm and soul. They can dance and sing and all are hot while they dance. But when it comes to brains, white people have better brains,” mother-of-five Sandy declared on the show. She also said at the show’s start that she didn’t “f—ing care” if people thought her views were racist. Sandy, who was born in a small community in the Northern Territory, also refused to sleep in the bed provided for her by the Aboriginal family she was meant to stay with in Sydney. 3. What was the reaction to that? The comments — predictably — sparked a social media frenzy last night. “Wow. Thank you @SBS for highlighting everyday ignorance still far too prevalent in this wonderful country ,” Tweeted Alicia Peculiar. “My god, ignorance can be astounding,” Mel Cann reports. “#FirstContactSBS is a definitive counter argument to the idea that we have enough Aboriginal content in schools, or enough voices in media,” Luke L Pearson writes. Read host Ray Martin’s account of why he became involved in the show here. First Contact airs tonight on SBS at 8:30pm.